Not the most exciting topic, I know… But as the inhabitant of a very small home, with carpet on almost every floor surface, I’ve come up with a way to baste a quilt up to 60″ x72″ (anything bigger than that, I prefer to send to the longarm quilter, anyway, to save my neck and shoulders the strain). Even if you have the floor space, this makes basting much easier on the back and the knees! Typically I use 80/20 batting, so I pin approximately every four inches. I actually had to baste this one twice (crap. ), because after pinning the entire quilt, I realized the batting was deformed (for lack of a better term) and was going to distort the finished quilt. At least I noticed it prior to quilting! So… I went and bought new batting, my sweetie helped me unpin roughly 320 safety pins, and I started all over. I’m guessing the batting I originally had was just an inferior brand (something I was given or picked up at a garage sale, most likely) and it had some strange creases and ripples, that I had never seen before in a batting. First time I ever threw away batting that was larger than a scrap, but the entire 70″ x 80″ piece went straight in the trash! Have you ever had faulty batting? 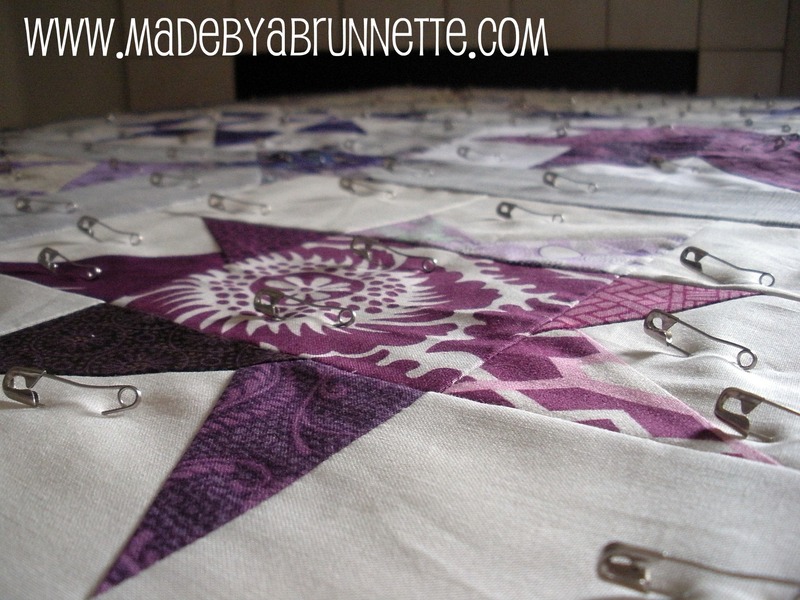 Ever had to baste a quilt more than once? Might that batting be tumbled in a warm dryer to remove wrinkles and “faults?” I have had to unpin a whole quilt, and it’s dreadful! 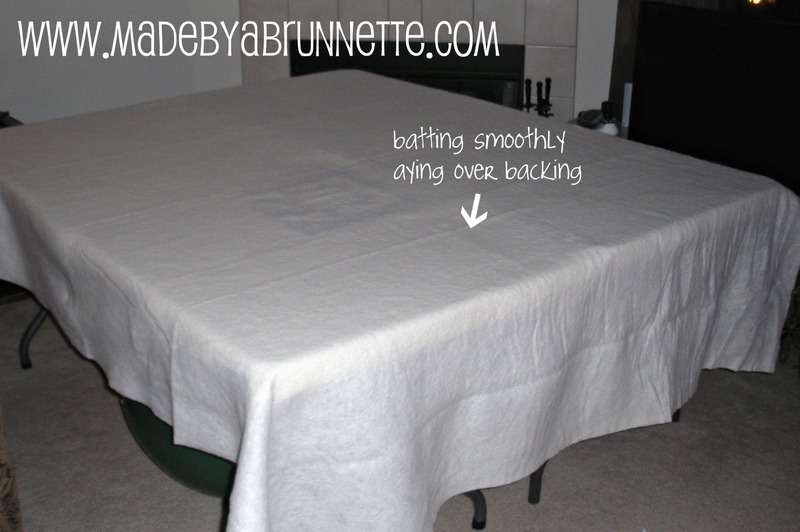 In my case, I had simply pin basted the whole quilt with one side lacking backing behind it! So, I definitely feel your pain with all that unpinning. Hmmm… I hadn’t thought of that, Linda. Maybe, it was a Hobbs Organic Heirloom (again, no idea where it came from or how old it is/was) I guess I could try that if it isn’t dirtied from the trash by now! AHA! I knew that you people (being quilters who actually know what they’re doing) didn’t baste on carpet. I always end up doing that, and I get a lot of unwanted crap in my quilt. Thanks for sharing! I do the exact same thing Doris. 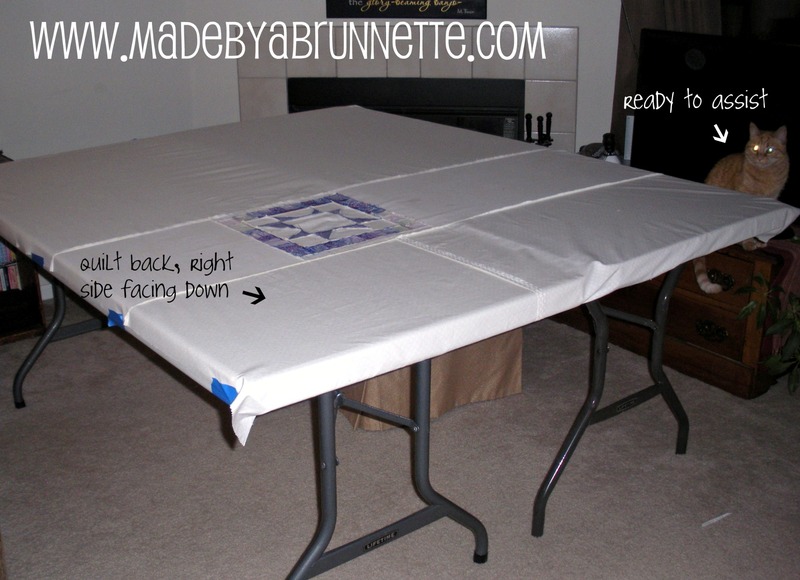 I have two banquet tables in my basement where I baste my quilts. I don’t have enough room to get all the way around them, but it’s sure better than on the floor. This old ladies neck and knees can’t take it. 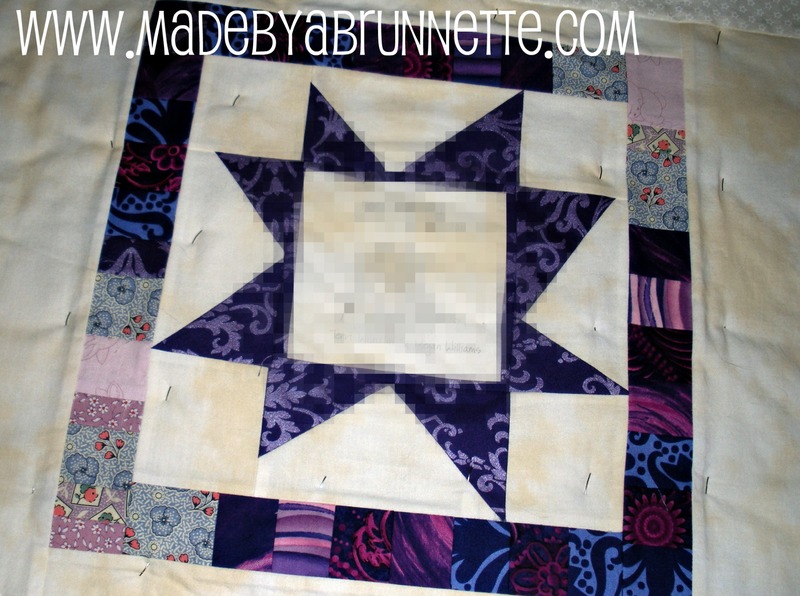 Sorry about having to unpin that whole quilt, but definitely better than UNquilting it! Oh, I finally called in and paid at Grubers – it’s getting closer! Yay! Oh, man. I hate it when this kind of thing happens! I”ve had batting with a “bubble” in it before that distorted the batting…but not had to Un-pin. Your table idea is a good one as I have carpet as well. Hope your quilting goes smoothly! Doris, I baste the same way (when I do it). I use the same banquet tables. 🙂 I use clamps to hold the backing, but I’m having a DUH moment in terms of, “Why didn’t I just think to tape? Far easier and less expensive! Sorry you had to do this one twice. What a drag!